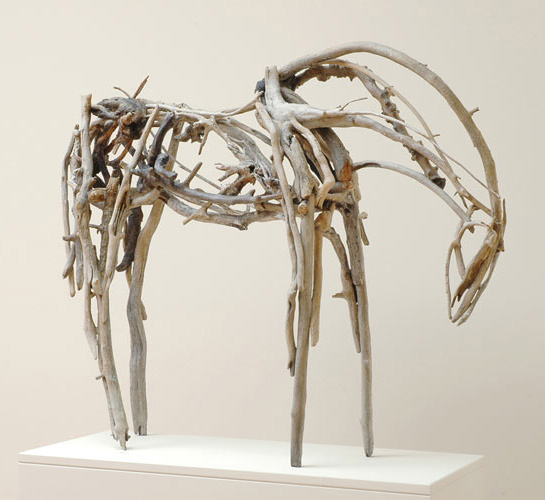 These beautiful driftwood sculptures are by artist Deborah Butterfield who specialises in sculptures of horses made from found materials. 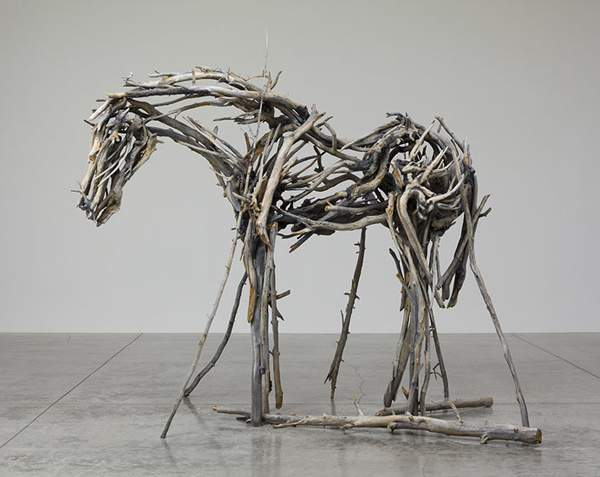 She began her career working with scrap metal and cast bronze in the early 1980s whereby wood was used initially for prototypes to see how the materials would fit together. She only works in the winter and pieces take between 3-5 years to make. These images are from a recent exhibition at L.A. Louver Gallery in California.